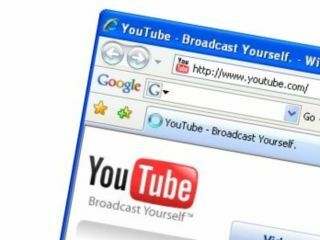 YouTube has begun to pull 'premium music videos' from its UK site after negotiations over a new deal with the Performing Rights Society (PRS) broke down. Speaking on the official blog, Patrick Walker Director of Video Partnerships, Europe, Middle East and Africa for YouTube said talks between the two companies had broken down after talks over a renewed deal ended with the PRS' being accused of asking for too much money and being too secretive. He said: "Our previous license from PRS for Music has expired, and we've been unable so far to come to an agreement to renew it on terms that are economically sustainable for us. "There are two obstacles in these negotiations: prohibitive licensing fees and lack of transparency. "PRS is now asking us to pay many, many times more for our license than before. The costs are simply prohibitive for us -- under PRS's proposed terms we would lose significant amounts of money with every playback." He also said that the body was unwilling to let YouTube know what songs were explicitly covered by the agreement so the content host could identify those videos - something Walker compared to "buying a blank CD without knowing what musicians are on it." The takedown of videos will occur over the next few days, with a number already inaccessible to those with UK IP addresses. The negotiations are continuing, and it's likely to be something YouTube wants sorted out sooner rather than later in order to maintain the relationship it has with the record labels.